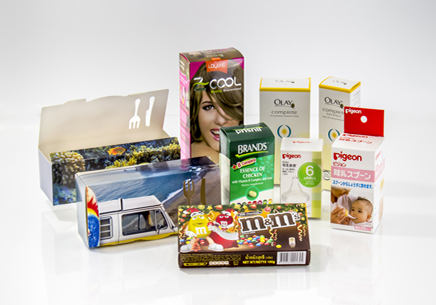 Duplex paper box or grey back paper box, its white surface is good for packaging such as box of toothpaste, food (secondary, not direct contact with food), Electric appliances and etc. There are many basis weight of Duplex paper to select. Art card paper or white in both sides, its quality is strength, smooth white surface, good for high quality prints packaging. 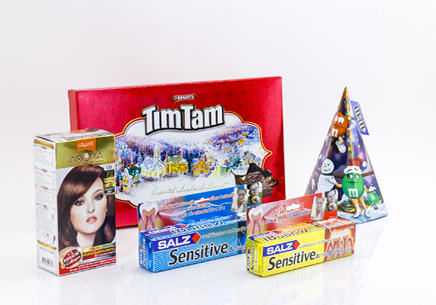 Art card paper box is suitable for proper hygiene and clean product such as box for food, cosmetics and pharmaceutical. Offset Corrugated carton with selected flute F, E, B, C, A and B/C is suitable for strength, heavy weight and well protection of goods. 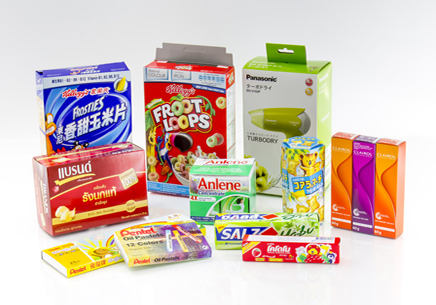 More than strengthen, we could make more beautiful box such as electric appliances, fruits packaging and etc. Metalized Paper with gloss and sparkle effect is suitable for the perfect quality products, splendid fashion style and it results into a valuable product such as; boxes for premium goods, gift set and new products and etc. 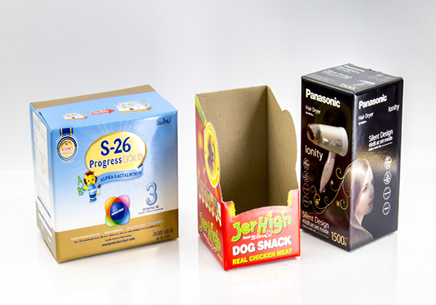 Folding Plastic Boxes or Visible Cases are made of plastic such as PET (Polyester), PP (Polypropylene), PVC (Polyvinyl Chloride). 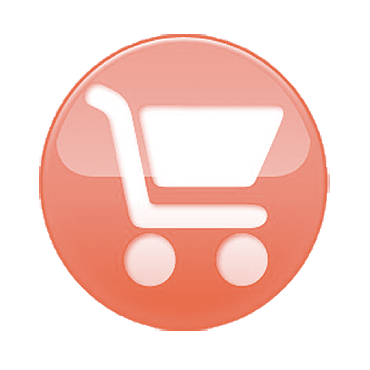 Its feature is pretty clear and its quality material; and so a customer could easily see the product in it. We produced a case with a perfect combination with perfect materials as well (visible case plus any suggested design from the customer) for instance, metalized paper and grey back paperboard. The finished products look so stylish images. This visible case is highly recommended specifically to premium products with its splendid fashion style and also high valuable products.